Wilke design and development technicians are qualified specialists who have undergone many years of further training. They are familiar with all the processes and parameters which are essential for the production of extrusion dies. Close cooperation and direct feedback from customers enables them to draw on a continuously growing pool of experience. It is this exceptional experience which makes Wilke one of the technological leaders in the sector. This is reflected in feasibility analyses, in the design of highly complex tools and their sophisticated and highly detailed 3D sink erosion. 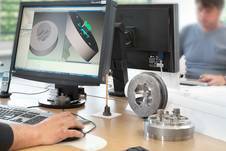 Wilke uses CAD and CAM programs which are subjected to ongoing development by its own IT specialists. Thanks to optimised programs, such as the calculation of input sizes, residual materials and pressing channels, Wilke's decades of experience are reproducible at the touch of a button. For reverse engineering, Wilke digitalizes existing dies with the aid of a 3D scanner if no drawings exist. The data which is generated can be used to produce exact copies of the sample dies. 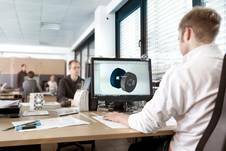 Wilke customers benefit from development expertise which combines experience with innovation and which finds solutions that are always one step ahead of the market.